The Indian government has finally woken up and taken the fight to the US in the domestic content case for solar panel usage. I had already written how the US had made India a sucker in the case when First Solar (FSLR) has won most of the Indian subsidized contracts for solar power plants. India has filed for information from the US government on numerous cases, where it has mandated usage of domestic content in water and renewable energy industries. The Indian side has cited numerous state and federal laws and tenders which favor local industries over foreign ones. Solar wars are taking place globally with major trading powers fighting against each other to gain a share of the shrinking global demand. We have already described how China is fighting back against the US and Japan has taken Canada to the WTO. Europe is set to impose a huge 70-80% AD against Chinese solar panels in the near future. Related Read How USA’s First Solar hit the Jackpot in India through a Loophole in Solar Subsidy Policy. The solar industry is going through a crazy phase with huge overcapacity – 60 GW of supply against 30 GW of demand. The solar wars have made the situation even crazier for companies who can’t forecast demand with certainty. The US government is also fighting dirty by starting a WTO case against a friendly country where its own companies have already captured a majority of the market. India should fight the case to its logical end and in my view should also start imposing duties on imports of solar panels. With solar panels being sold below cost throughout the world, proving an anti-dumping case should be a breeze. Free Guide on Solar Energy in India. India hit back at U.S. accusations of trade restrictions in its solar industry on Wednesday, suggesting Washington was guilty of the banned practices, in a move that may deepen divides between giants of the developing and developed world.India asked Washington to justify incentives offered to U.S. companies to use local labour and products in renewable energy and water projects, in filings to the World Trade Organization published on Wednesday. Its requests for information – sometimes used as a precursor to a formal trade dispute – came two months after the United States launched a trade dispute about incentives offered to local suppliers in India’s solar industry. Canada lost the case at the WTO and, although it is still due for a final appeal ruling by May 6, its defeat has triggered a hunt for other discriminatory clauses worldwide, led by the United States, the European Union and Japan. In one of its WTO filings, India said the existence of the U.S. requirements for renewable energy “raises concerns about their compatibility” with global trade rules.India asked the United States to provide full details of state, regional and local renewable energy programmes that had local content requirements and listed four schemes about which it had specific questions.It cited Michigan’s renewable energy legislation, Los Angeles’ solar incentive programme, California’s self generation programme and incentives for commercial and residential solar power offered by Austin Energy in Texas.It also cited tenders in Alabama, South Carolina and Florida which it said specified that only U.S.-made pipes were allowed to be used. Expensive imports means a higher cost for a solar power plant. 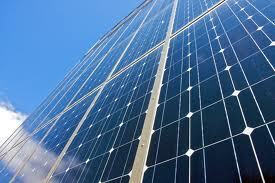 Will the government support with better tariff to make solar power plants lucrative?